Great evening at the Conduit Club, London (Tuesday 2 October) pictured with Doris Lockhart Saatchi…stylish, art collector and curator who graduated from Sorbonne. Instigator of the ‘Sensation’ art exhibition in 1997 at the Royal Academy of Arts in London, and what launched the Young British Artists (YBA’s) – Damien Hurst, Tracey Emin, Sarah Lucas etc. Photographed by Robert Mapplethorpe for the Tate…Doris Lockhart Saatchi is a truly lovely lady! The Chapel hosts another special September Wedding! Congratulations to Tom and Natalie. ‘TAKE ME TO CHURCH’ Uncovers the epic spaces in Harrogate’s newest venue – The Chapel as seen on C4 Restoration Man. Throughout the scenes of this Belle Bridal exclusive we showcase how owner Mark Hinchliffe has combined his passion for interior design and art to give this venue a new lease of life. Weekend of wedding celebrations started Friday (30 August) with wood fired pizza, by Stuzzi, Harrogate. Wedding day 3pm Saturday 1 September, 2018. Congratulations to Joe and Steph! A beautiful and rememberable day. Probably the finest Turkish Spa Baths in the World…opening night after a £300,000 restoration! When it comes to renovation and redecoration, it’s always worth knowing how to upscale furniture that you have already. Not only is it a useful way of cutting back on spending and helping reduce waste, but it also allows for your own unique design work to be centre-stage. Rather than fully populating a space with furniture designed by other people (as good as that may be), the creative freedom expressed when you upscale used furniture can add that special something to an interior. You don’t have to retain the original purpose of the piece of furniture either. That old chest of drawers doesn’t need to stay as clothes storage – it can be repurposed into a bookcase or a coffee table, for instance. It’s a great way to keep your rooms feeling fresh and bring out your creative side. Upscaled and repurposed furniture is often a feature of boutique B&Bs, as the pieces bring a sense of individual creativity and design flair to the space. Your best bets are bits of furniture that you’re thinking of getting rid of. 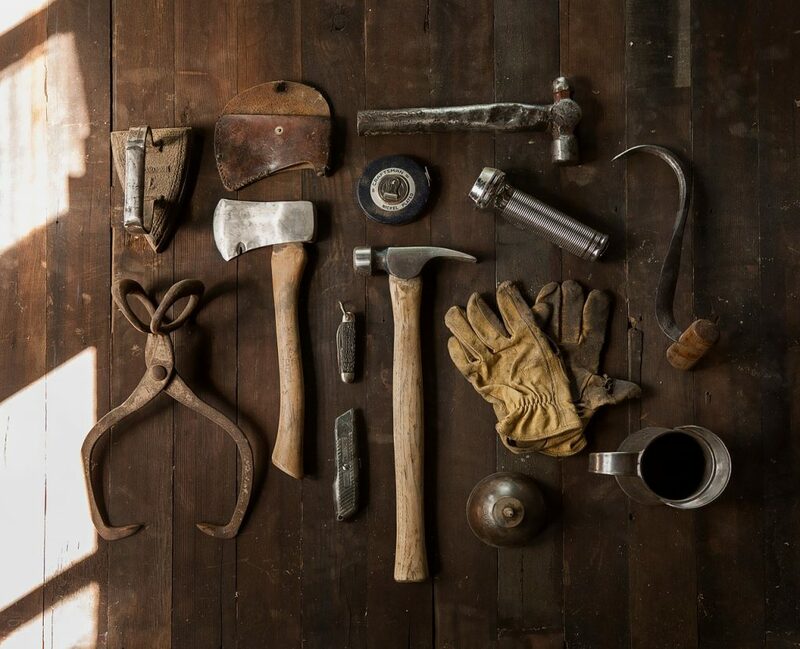 Rather than throw away something that you think you don’t need, take a step back from it all and work out whether it can be repurposed somewhere else. Were you thinking about purchasing some furniture for another room? Perhaps the item you’re looking to get rid of can be repurposed instead of buying something new. Generally speaking, bigger objects with separate component parts are often best. A chest of drawers, for example, can have its drawers taken out and upscaled as different types of storage. Wooden objects are also versatile, as it’s easier to sand and paint them to fit a different purpose. Upscaling furniture is more than just the DIY work – it’s also about placing that new piece in a fitting environment at the end of the process. Because of this, you’ll need to have a clear idea of what you want the new item to look like, as well as knowing how and where it will fit in with the rest of your interior. If you’re in need of some ideas, Upcycle That have them in abundance. People often associate upscaled furniture in the home with a more rustic chic. It’s certainly one of the most popular styles within the home setting – partly because it’s easier to match with a lot of contemporary interior designs. It’s worth noting that this isn’t the only option: there’s much that you can do with more modern-inflected styles, which often take inspiration from art deco and make frequent use of gold and silver paints. Of course, this depends massively on what it is that you’re looking to upscale or repurpose. Upcycling chairs requires fabric and stitching skills, whereas repurposing shelving units could well need power tools and plenty of paint. Most upscaling work is done with more solid wooden or metal items of furniture, so that’s the process we’ll be looking at. If you’re planning on improving the look of a piece of furniture by painting it, then it’s important to sand it first. 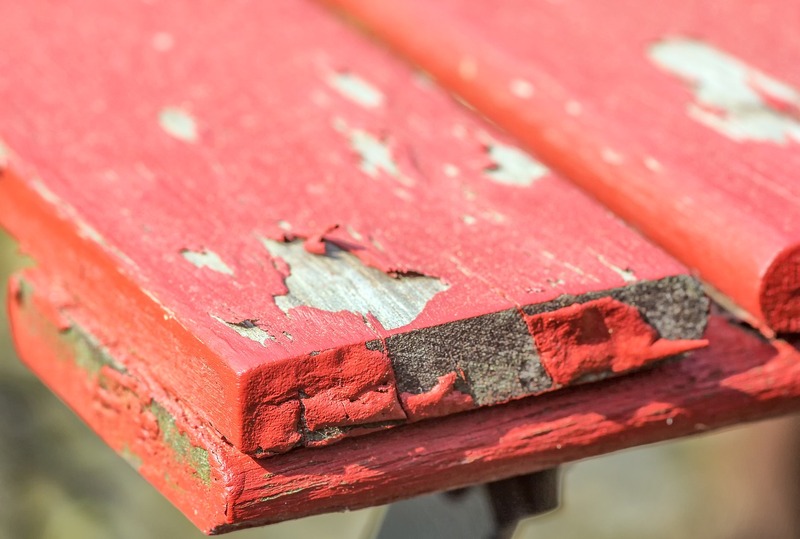 Sanding removes any rough surfaces, which means that you get a smoother finish – and it’s less likely to chip. You should sand most of the time, unless the surface is already factory-smooth. If the piece you’re wanting to paint is chipped, then you should definitely sand it down before going any further. If you’ve sanded the piece, chances are you probably won’t need to prime it. There are times, however, when using a primer is important as a base layer before fully painting. Wood with red undertones, such as mahogany, will probably need a primer because the red colouring can bleed through into the paint layers. The same goes for drastic colour changes – from black to white, for instance – as the primer acts as a great leveller. Rain On A Tin Roof has got a great post about when to sand, degloss and prime, which we’d recommend looking at for more information. Once you’ve sanded and/or primed your piece, it’s time to get creative. Go wild with the paint, change the handles and knobs, and add final accessories and bits of detail. If you’re repurposing it to go into a new room, it might be time to find companion pieces in its new location – and start the process again! When it comes to what to do with your new piece, there aren’t any set rules. If it fits with your original vision, then make sure that you integrate the new piece into the surroundings properly. Do you want this new piece to take centre-stage, or is more of a supporting cast member? Is there anything you can add to the space alongside it to help bring out its best features? Some of The Chapel’s best upscaling work came in the repurposing of the original pews. They were neatened up before being made into various objects around The Chapel including doors, bannisters and even kitchen cupboards. The repurposed pieces blend modern and contemporary styles with the history of The Chapel, and they create a truly unique effect. If you want to immerse yourself in the wonderful design work in The Chapel, make sure to book a stay. Photo by Boho Chic Weddings. Weddings are incredibly variable, with almost everything having a ‘take it or leave it’ approach. One thing that can’t be dropped is the venue. This can be a really stressful decision – there’s a lot to consider and you have no real idea how everything’s going to work out on the day. Luckily for you, we’ll be giving you some key wedding venue tips in this post, alongside some unique wedding venue ideas to help you have an easier decision-making process. 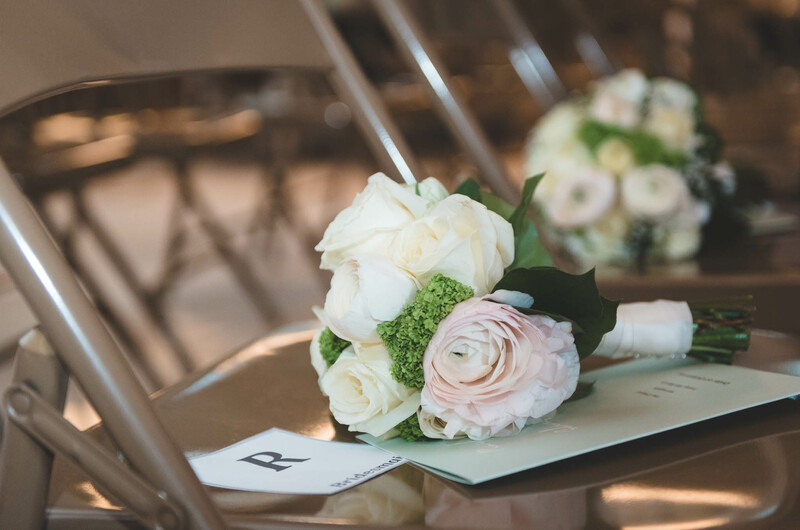 Knowing how many people are coming to your wedding, or at least how many people you’ll be inviting, is of the highest priority when it comes to organising the big day. It’s especially important when looking at venues – there’s no point looking at the perfect location if it only holds 40 and you’ve invited 80. 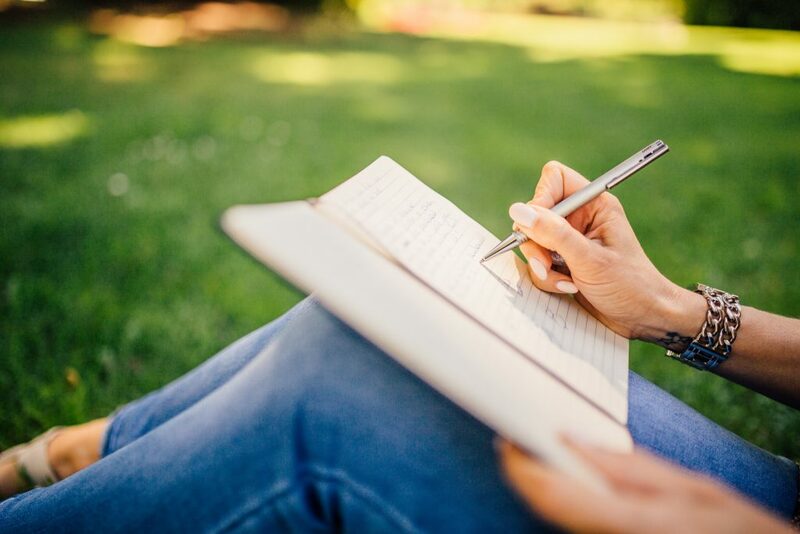 Wedding Ideas Magazine have a really useful article on how to write your wedding guestlist, which offers some great points. You should always leave a bit of room to manoeuvre, too. You never know who you might have forgotten, or who your parents just insist on inviting without you knowing! Don’t go overboard with extra space though, as booking a large venue for a small number of people might make the room feel half-empty on the day. Make sure you know how many the venue can comfortably accommodate. Always be wary of the phrase ‘maximum capacity’, as a space that’s bursting at the seams is hardly an enjoyable place to be. Ask the prospective venue the size of the most successful weddings, and gauge whether your plans fit with that figure. Like knowing your required capacity, having a budget in place is among the most important things when selecting a wedding venue. Not only this, but you’ve got to be up to scratch with hidden costs. Does the venue provide furniture? 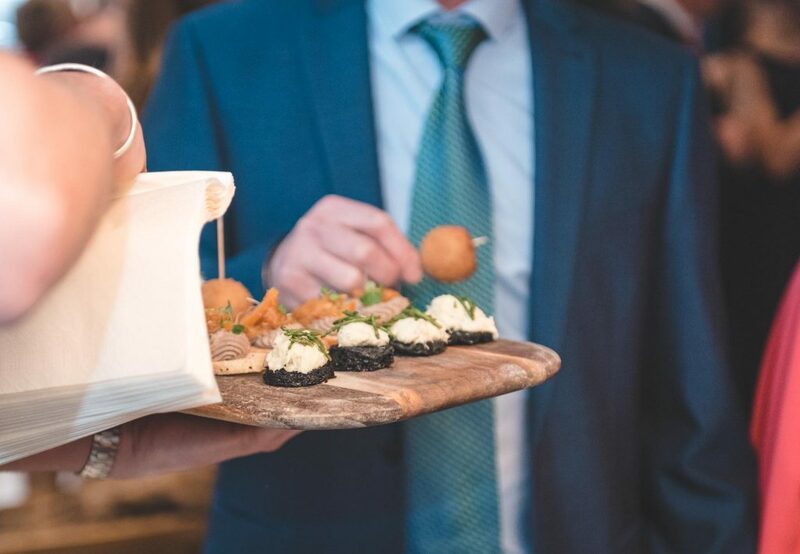 If you’re booking for the reception, what food and drink is included? You should get a cost list and work out the total predicted expenditure. Remember that budgeting for venue hire is always more than just the space itself! When it comes to extra costs, decorations are one of the biggest culprits. This can be alleviated by your location choice: if you choose a unique wedding venue, it might be exciting enough that you can spend less on decoration. The wedding is unquestionably your day, but it’s made so much better when your guests have a great time too. The best way of ensuring a good atmosphere is to take some time to imagine the day through your guests’ eyes. Is the venue comfortable? This comes back to the guestlist point above – make sure that there’s actually enough room for everyone on the day. See if there’s any ‘breakout’ rooms for people to spread into, or outdoor space for people to get a bit of fresh air. 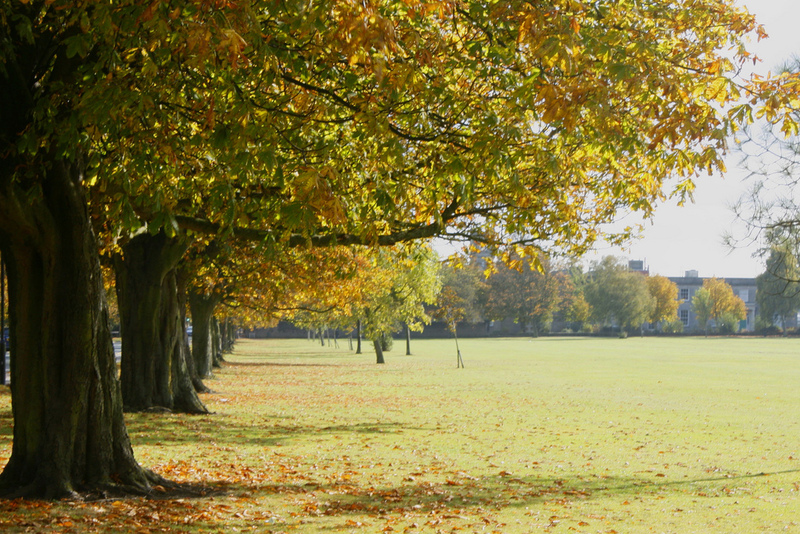 Check to see what parking facilities are available at the venue, too. If there’s plenty of parking space, then you can save costs on hiring transport for everyone. Also check to see what accommodation is available nearby, as people will be drinking and won’t be able to drive home! Even better, see if the venue itself has guestrooms available overnight. Now it’s time for some wedding venue tips that often get sidelined in the grand scheme of things, but they can make a real difference if you spend a bit of time looking into them. First things first, check whether you’ll have exclusive access to the venue. Unless the prospective venue is gigantic, we would recommend that you look for somewhere that will be entirely yours for the occasion. There’s enough confusion with your partner’s lesser-known family members anyway – you don’t want to be getting your new relatives-to-be mixed up with other venue guests! Another thing that you should look into is whether the venue comes with an in-house co-ordinator. Having someone from the venue on the wedding day to take care of the little things helps to take the stress off and let you enjoy your big day. Not only this, but they’ll know the venue inside-out, and will probably help in the organising beforehand. While you’re looking for venues for your wedding, it can seem overwhelming to have to do the same thing all over again with food and decoration outlets as well. To alleviate this, many venues will have a list of recommended vendors which can be of real help. The vendors, be they caterers or decorators, will have worked in the venue before and will ensure the logistics of the wedding run smoothly. You should still check pricings (as some recommended vendors can overcharge), but it makes a good starting point. If you’re looking for a truly unique wedding venue in North Yorkshire, The Chapel in Harrogate is available for both ceremony and reception bookings. Enquire at info@thechapelhg1.com for more information. What is a Boutique B&B? The accommodation industry has boomed in recent years, especially with the prevalence of online comparison websites and mobile apps. Among this, a new trend seems to keep cropping up in the accommodation sector, and it’s a question on many lips: just what is a boutique B&B? A boutique B&B is generally defined by two things – size and luxury. Generally, they’re on the small end, and maybe have around ten rooms or fewer. Frequenters to boutique bed and breakfasts often search them out for their intimate feel combined with their luxurious décor. The suites may be individually furnished, giving each a distinct feel and atmosphere. If the rooms are different sizes, then it makes sense for them to each have their own personality. Not only this, but having varied rooms and suites also encourages repeat visits! Boutique B&Bs are designed to give an indulgent experience, as well as raising eyebrows with cutting-edge statements. Maybe there’s a unique decorative style that blows you away, or perhaps it’s the architecture of the building itself that makes it truly compelling. Often, boutique B&Bs will mix the old with the new – there’s a particular je ne sais quoi when an older building has been renovated with a modern inflection. It’s this link with the past that can make boutique B&Bs so appealing, and it definitely makes a statement that remains in the memory. There aren’t waves of staff at a boutique B&B – more often than not it’s just the owners and pro rata housekeeping staff. Because of this, the service that you are offered as a guest is much more personal. You’ll feel much more valued as a customer, especially because there aren’t as many guests as in a hotel. Don’t underestimate local knowledge either: owners of a boutique B&B will know the area inside-out. They’ll be able to tell you about the little-known tourist attractions, the best lunch spots in town, and answer any other questions you might have. Owners are almost always live-in, and will be available whenever you need a hand (within reason!). 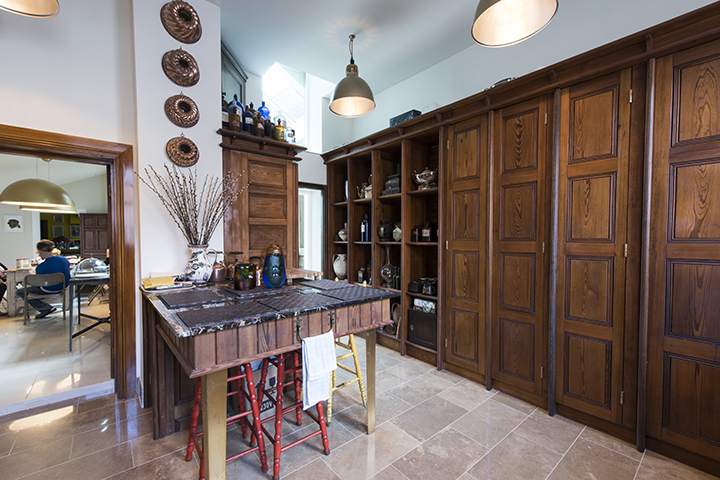 Due to the nature of a boutique B&B, they can often be used for many different purposes. With intricate interior design, living areas and certain suites are ideal for photoshoots and film & TV sets. We’d know: The Chapel featured on Quest TV’s Salvage Hunters recently and Channel 4’s The Restoration Man in 2017. Be warned that you might suddenly recognise something on arrival! Boutique B&Bs are also keen to book out the entire building for private functions. Wedding receptions are particularly popular, and The Chapel even takes bookings for wedding ceremonies. Unique B&Bs also make great locations for corporate events, from impressive client meetings to company parties. Boutique B&Bs convey a sense of luxury, but also have a tongue-in-cheek appeal to them as well. It’s another moniker of originality and sets smaller B&Bs apart from traditional ‘luxury hotels’ – it might be a quirky guestbook or a mildly rebellious accessory. A boutique bed and breakfast is often good-natured, and does all it can to make your stay as memorable as a lamp made out of a mannequin. The beauty of boutique B&Bs lies in their versatility. Unique décor and style, encyclopaedic local knowledge from the owners, and multiple booking options make them an accommodation like no other. If you’re feeling tired of the same cookie-cutter hotel, you don’t need to look much further. 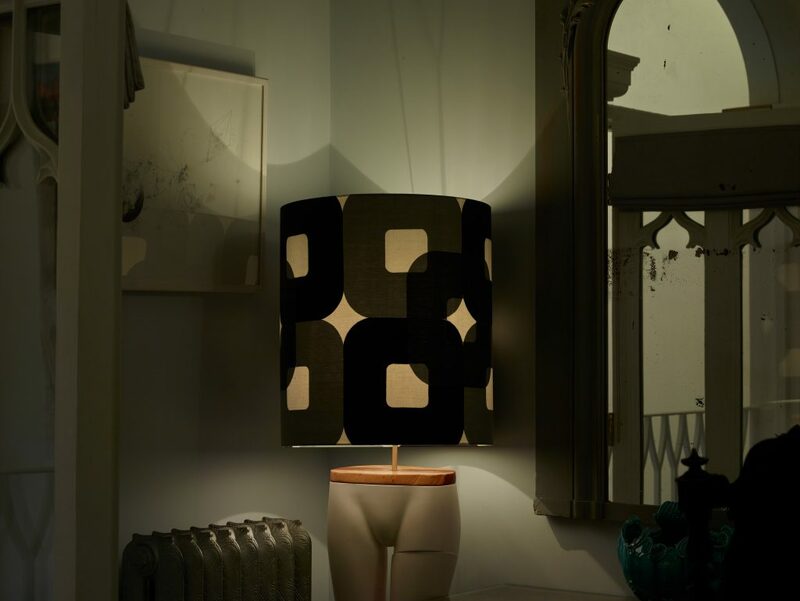 With Mark Hinchliffe’s eclectic style, attention to detail, and ability to spot the most unique and beautiful of antique treasures, The Chapel has caught the interest of many eyes. From Harrogate locals to television hosts and programmes, last year saw The Chapel crossing paths with Salvage Hunters. Salvage Hunters has been a much-loved British television show since 2011. It follows Drew Pritchard, an avid treasure hunter who travels up and down the country to discover forgotten treasures and hidden antiques. Restoration of The Chapel has been anything but a standard affair, with Mark travelling around Europe to find some of his most unique pieces of furniture and art. This passion and an eye for design has resulted in the most wonderful collection of objects, furniture, and art. The Salvage Hunters were chomping at the bit for a look at The Chapel. Mark was extremely excited to open his doors to Drew and the team last Autumn, knowing full well that they’d be blown away by his restoration of Harrogate’s 19th Century Wesleyan Chapel. 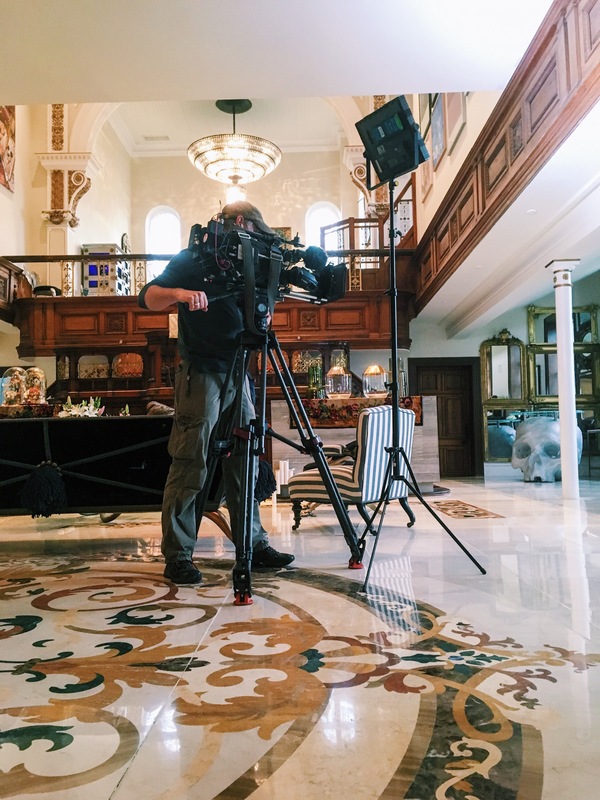 The Salvage Hunters crew spent a whole day filming at The Chapel, and Drew was particularly taken with The Chapel’s 50ft high atrium and beautiful dining room chandelier. Keep your eyes peeled for this when the episode airs! 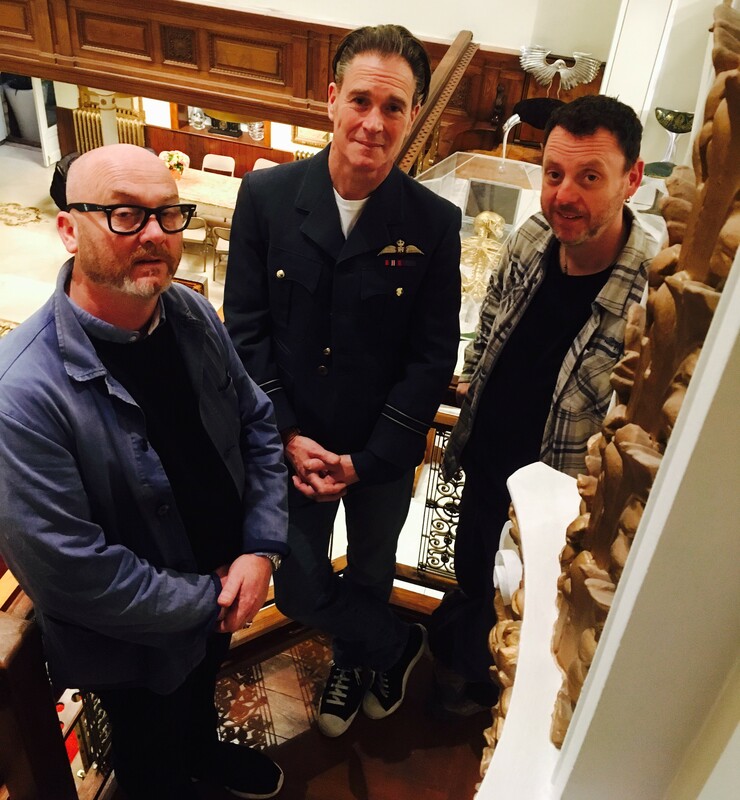 The new series of Salvage Hunters has been a huge success since launching a few weeks ago, but the show also continues to be successful throughout the year. “Salvage Hunters airs to more than half a million viewers every week in the UK”, a spokesperson for the show said, “and millions more in over 25 countries across Europe and North America”. The long and short of it? The Chapel will be beamed around the world to (hopefully) millions. While it’s featuring in the third episode of the new series, you might have caught a glimpse of The Chapel’s dining room in the opening credits of last week’s episode. As he opens the door, Drew’s jaw drops in an expression that can only be described as “wow”. Since the episode was filmed, Drew has started renovating a chapel of his own. It’s only reinforced the fact that Mark and The Chapel are an inspiration for all. To find out how Drew and the Salvage Hunters team got on at The Chapel, make sure you tune into Quest TV (Freeview 37, Sky 144, Virgin 172) at 9pm on Wednesday 28th February. 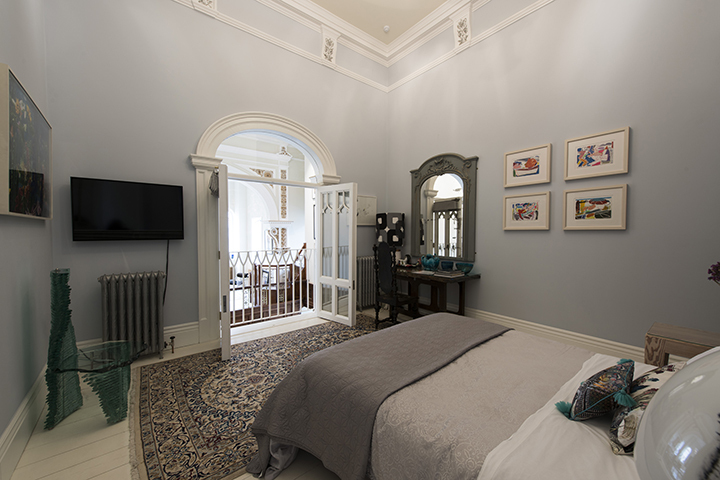 If you want to do some salvage hunting of your own, book a room at one of the five luxurious suites available at The Chapel – it’s a stay that you won’t forget. Yorkshireman Mark Hinchliffe can vividly recall the spark that ignited his love of collecting. It happened in Leeds City Museum when, as a boy, he stood transfixed in front of a stuffed Indian tiger, its paws bigger than his head. 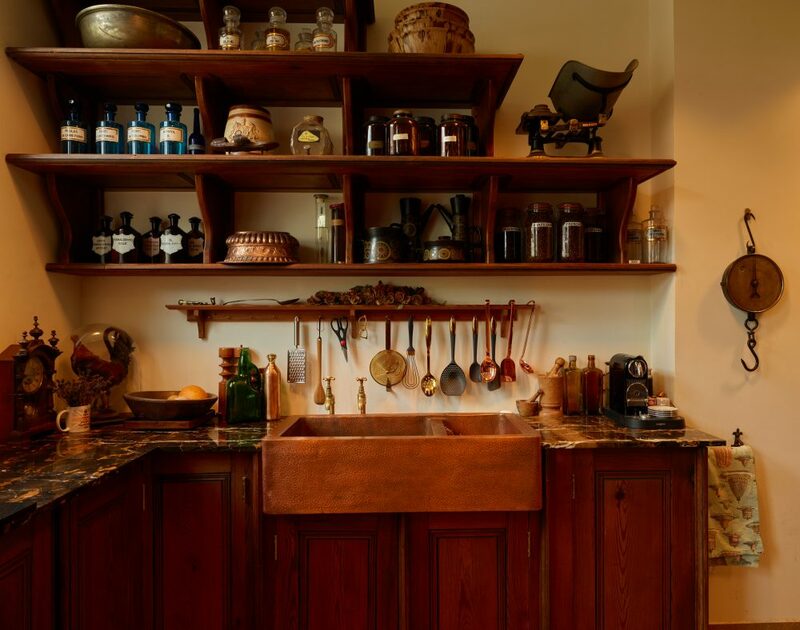 The memory still burns bright 40 years later as he shows me round the 19th century, former Methodist chapel in Harrogate that he has restored and turned into a home – one he shares with his own vast, “bonkers” collection of art and artefacts. Here, a clutch of feather hats, there a fragment of antique French tapestry, hanging in the “gentlemen’s club room” brocaded military jackets from conflicts past. It’s not exactly a museum – Hinchliffe sometimes wears the jackets while cycling round town – but this is clearly more than just interior decoration. For one thing, every object has a story. He bought the chapel in 2013 after it had fallen into disuse, and spent two years renovating it. The vast church organ had already been dismantled and sold for £6,000 on eBay, finding a new home in a small village in Germany. Hinchliffe removed the pews and upcylced them to construct the kitchen cabinets, though many elements of the original building remain, including the pulpit and the 40ft-high atrium, now the grandest of living rooms. The original stained-glass windows were restored and a galleried dining room created. Scores of cast iron radiators were found in France and stripped back to reveal ornate mouldings. The street markets and antique fairs across the Channel remain Hinchliffe’s favourite hunting grounds. “I’ve got the attention span of a gnat,” he admits. “I spin on ideas and I can look at a stand in about four seconds flat and decide if I like anything.” As well as Clignancourt in Paris, he goes to the Braderie at Lille – Europe’s biggest flea market, where he bought the boar’s head in the “gentlemen’s club room”, an antechamber off the main living space painted rich Prussian blue and hung with antique trophy heads. I admire one of the early Victorian chairs. “The fabric’s by Vivienne Westwood,” he tells me. It turns out that on a trip to London a couple of years ago he found himself sitting opposite the designer and her husband, Andreas Kronthaler, on the tube and they got chatting. A fellow northerner, Westwood sent up three rolls of her Jacquard fabric as a gift, which he used to reupholster some of his favourite chairs. The association seems fitting. 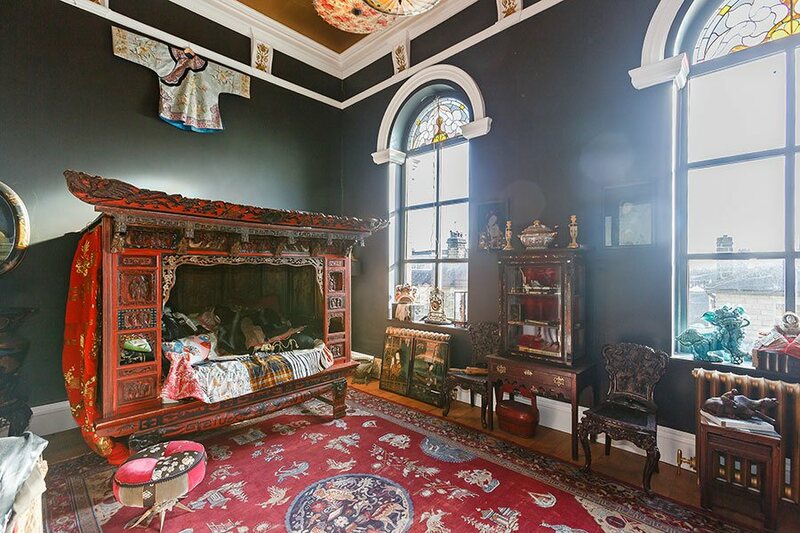 Opulent and minimalist, ecclesiastical and punk – opposites find a comfortable affiliation in this most unusual of homes. “I like the juxtaposition of an 18th century cabinet with an amazing piece of modern work above it,” says Hinchliffe. 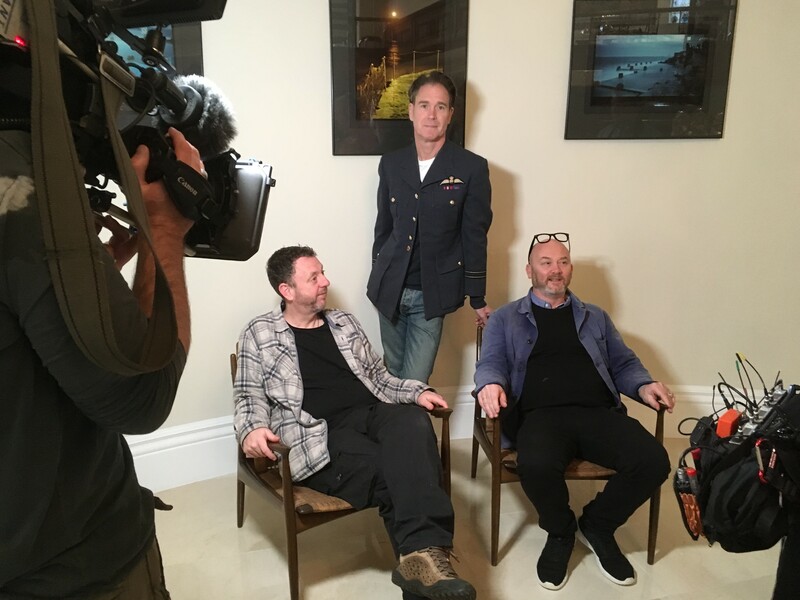 “I love being in tune with history.” On the walls are works by contemporary artists including Marc Quinn, Gilbert and George and Steven Campbell. In his study, he pulls out a sculpture by Susan Collis – a shelf covered in tiny pencil marks – part of what appears to be a growing sub-collection of DIY-inspired art. It may seem disorderly, but Hinchliffe knows where everything is, and recalls each object’s history with childlike glee. His particular interest in “the marks and the patina, and the journey of things” underpins his design aesthetic. In the “ladies’ boudoir” there’s shelf upon shelf of antique Singer-style sewing machines, their wonderfully curved forms and dark steel moving parts set off by the yolk-coloured walls behind. The whole collection once belonged to the husband of a local needlework teacher and were given new life here after he died. A grand piano forms a centrepiece to the room while a wooden headboard depicting a young Victorian lady deshabillé hangs behind a writing table, lending this corner a private, conspiratorial air. Upstairs is altogether more baroque. There’s an Indian-inspired bedroom featuring a four-poster bed festooned in gold-embroidered blue silk and another, the “Chinese opium suite”, with matt black walls against which a red carved wooden daybed is set aglow. 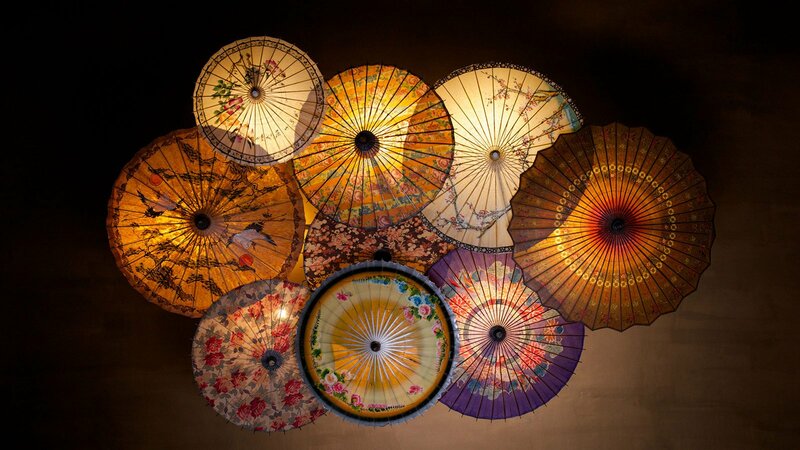 Oriental silks and sculptures add a further layer of richness to the atmosphere. As a child in the 1970s, Hinchliffe accompanied his mother to antique fairs. There, his magpie gaze would fall upon a top hat and a silk scarf “to hang on the stairs”, or a Georgian spoon flukily carved with his initials. To fund his passion for collecting he’d sweep the floor at his mum’s hairdressing salon and make tea for the old ladies. Later, he took on two paper rounds and worked weekends on a farm near his home in Leeds. His strong work ethic is matched by an abundance of energy which saw him out every night when he hit London as a newly qualified chef at the height of the New Romantic era. Much like his collection, Hinchliffe is given to going off on tangents. He’s just been granted a marriage licence for the building, and recently chanced upon the French tradition of wedding domes – mini collections under a glass cloche, containing souvenirs and mementos. Fascinated by these little microcosms, he has created his own – which you could see as a metaphor for the chapel itself. “It’s about reinventing the Victorian fascination of discovering the world; the curiosity in random things I’ve collected are all in that vein,” he explains.